KRCU's Jason Brown interviews artist Terese Nielsen. Heroes, Villains, Monsters is a showcase of comic book and fantasy art on display at the Crisp Museum at Southeast’s River Campus. 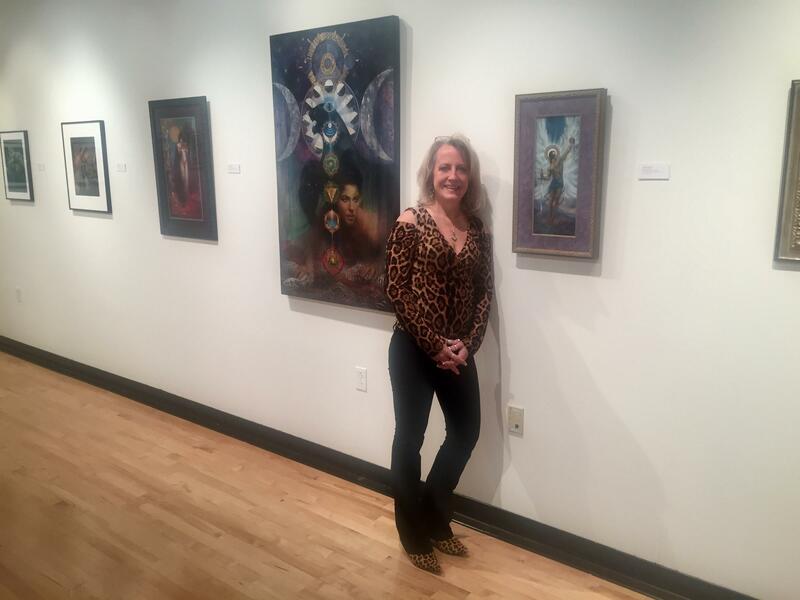 Terese Nielsen is among the artists who are featured in this exhibition, and she was present for the launch event in November. 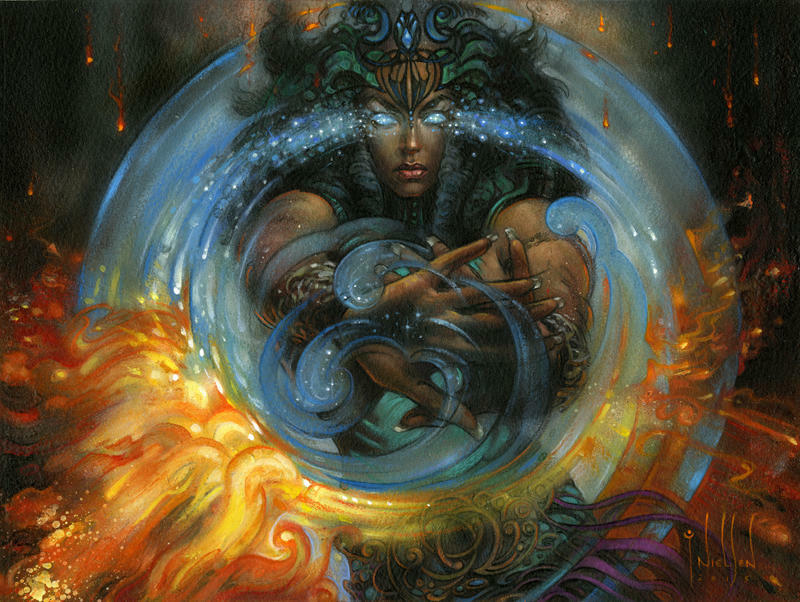 Nielsen is perhaps best known for her artwork in the collectible card game Magic: The Gathering. Her figures have a striking beauty to them, and are powerful, by way of their physicality, or perhaps with a cunning look. Heroes, Villains, Monsters in on display through January 29th, and features the work of three other fantasy and comic book artists as well. You can keep up with Nielsen's work at her website, www.tnielsen.com. Jason Brown: I wanted to ask you first about one of the most iconic cards in Magic: The Gathering, "Force of Will." Is it correct that it’s the first illustration you provided for Magic? 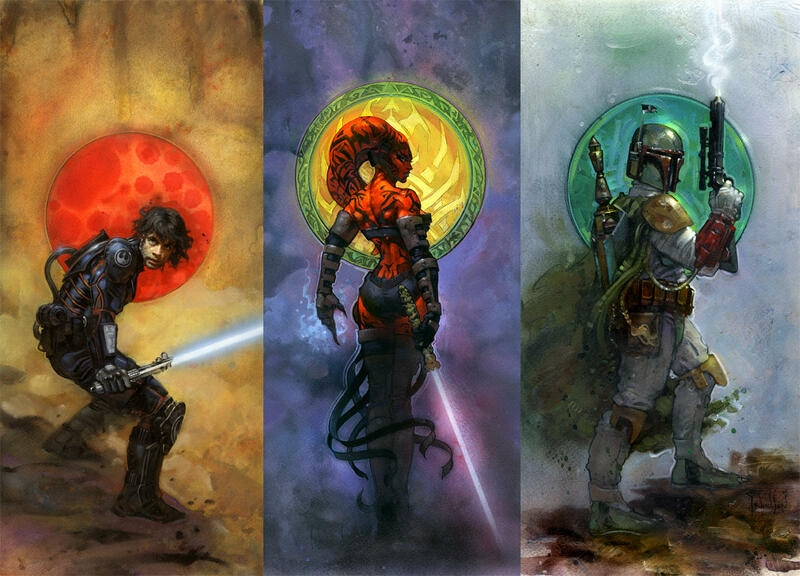 Terese Nielsen: That is the very first one I painted, yes. Brown: Let’s talk about that first iteration of “Force of Will” because it’s been recently reprinted with updated artwork that you did as well, but I wanted to you to describe the image, because I feel like you could do it better than I could. Nielsen: Of course now there’s far more art direction, which is fine with me, I like it as a springboard to know what they feel is going to be best for the card. They specifically wanted a black woman, which I thought was super cool, and then this time of course I had to incorporate Blue magic, but it still has some of the red coming in from the side areas to kind of keep it in the original vein. Brown: I’m curious, do you play the game? Nielsen: I’ve played it three times, I’ve tried to play, so I will just say I’ve tried to learn three times and I can’t say I really play. 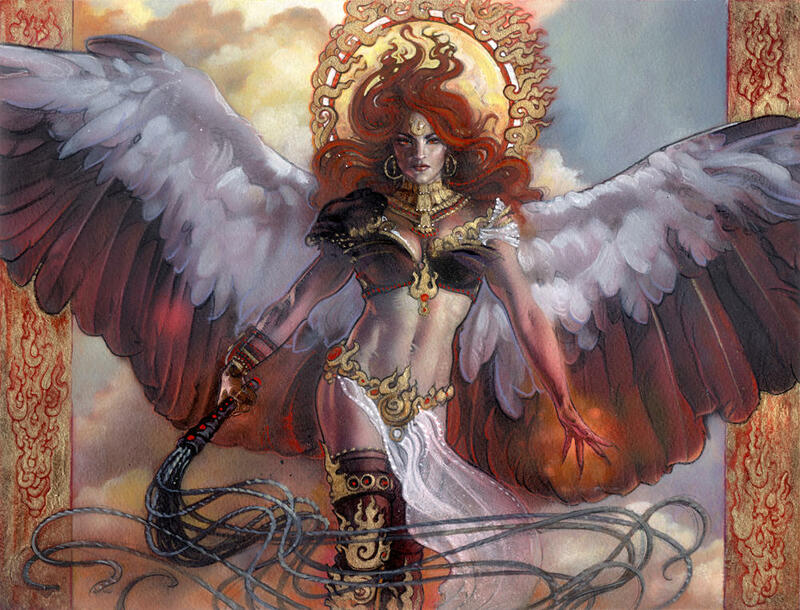 I’m thinking about learning to actually play; I’m told I can make an actual Terese Nielsen deck; I think that would be a fun way to start, to just use all of my own cards. Brown: I wanted to ask you about different ways that people are enjoying the game, and this seems to be bringing different people into the fandom. I’m thinking about people to don’t necessarily play the game competitively, and are not trying to win at every turn. But they enjoy the artwork, they enjoy the storylines of the characters, and maybe people are expressing their fandom through cosplay and things like that, and I wonder, are you seeing that at conventions? Nielsen: The cosplay aspect has been especially fun. I just think the visual aspect of that makes an event so much more fun. It’s always an honor when I see another artist in the cosplay medium that’s created a character that I designed and painted in 2D form, and to then see it literally come to life. 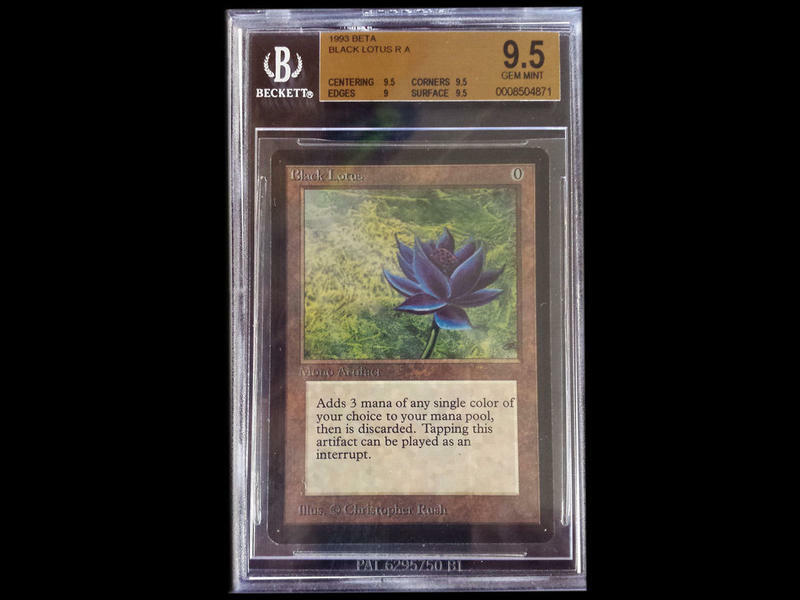 Brown: Do you have a favorite Magic card? Brown: Why that one, does it have a personal attachment for you like you mentioned, or is it something else? Nielsen: It is a person that I know, though I’ve never met her personally. But I love women who are powerful but still have a soft element about them, and a lot of women who have seen that piece have also been really touched by it, they like to hang it on their wall to feel empowered, like they can go take on the day. It’s an angel, and I love painting angels, and she’s powerful; I love powerful figures, muscular figures and so, it’s a cool piece. Brown: You mentioned that you’ve painted art based upon the likeness of your wife, and your daughter, surely they must take this as an honor: what has been their response to this, and to the final product? Nielsen: Well, my wife’s been my model for like 20 years now, so she just kind of rolls her eyes and goes “oh yeah, this again.” We have four children together, and they’re all in their twenties, now: three girls, one boy, and they’ve all had their turns at being my models for various projects. The kids still think it’s pretty cool; they look at them and go “oh hey, that’s me in a glorified form,” or something, so they think it’s pretty fun. Brown: I want to ask you about what brought you here to Cape Girardeau, the exhibit Heroes, Villains, Monsters that’s on display at Southeast’s River Campus: what pieces of your work are going to be on display there? Nielsen: It’s somewhat of a retrospective for me that goes back to the beginning of my career, when I was more involved in comics and superheroes. So, I selected some pieces that sort of spanned my career, from Xena work, to Star Wars work, to Magic work, and then also a large personal piece that’s also in there. Brown: There’s a piece called “Reclamation,” is this a new one? Nielsen: Yeah, that’s one of my personal pieces. Brown: Is this exhibit a chance to see it for the first time? Nielsen: The first time! I started it three years ago and for my entire career I’ve wanted to work on personal pieces, but clients, deadlines, they always come first before mine. I really like integrating, I love animals, and the energy and power and uniqueness that animals have. I like the Native American idea and philosophy of finding power in the animal totems and what they symbolize and when you meditate on them and the energy it can bring into yourself. One of the ones that I consider my power animal is the panther, and so this is a piece that incorporates panther energy and opening of the chakras. Different things like that interest me, sacred geometry, and metaphysical sorts of things. You can see subtleties of that in my magic pieces, a lot of diagrammatical kinds of elements. This is just all me, what I get to do. Terese Nielsen standing with her piece titled "Reclamation" displayed in Heroes, Monsters, Villains at the Southeast River Campus. Rick Burchett’s career as a comic book artist has included work with a variety of characters and types of stories, including a satirical reboot of E-Man, and The Death of Superman. He’s twice received an Eisner Award, an honor frequently described as the “Oscar of comics” for his work on The Batman and Robin Adventures and Batman: The Gotham Adventures. As a comic book author, Cullen Bunn puts words and thoughts to a lot of powerful characters. He’s written stories for iconic heroes like Captain America and Superman. He’s the current writer of ongoing series for Magneto and Sinestro. He’s also had success with characters he’s created, perhaps most famously so for a series called The Sixth Gun, which will conclude this year with issue # 50. Bunn was in Cape Girardeau for this year’s Cape Comic Con and I had the opportunity to speak with him about some of his ongoing projects. I recently had the chance to speak with Cullen Bunn, author of a number of ongoing comic books, including The Sixth Gun, Hellbreak, and Harrow County. He’s also the writer of Magneto from Marvel comics, and in the following interview we go in depth on that book. Marvel is beginning a large crossover event in May called Secret Wars, and a lot of Marvel characters and titles are getting shuffled around and rebooted in ways that won’t yet be clear. Magneto in particular will tie into the event under the title Last Days of Magneto. In a classic bubble — housing for example, or tech stocks or Beanie Babies — the fun ends in a crash. Things go belly up, and people can lose a lot of money. 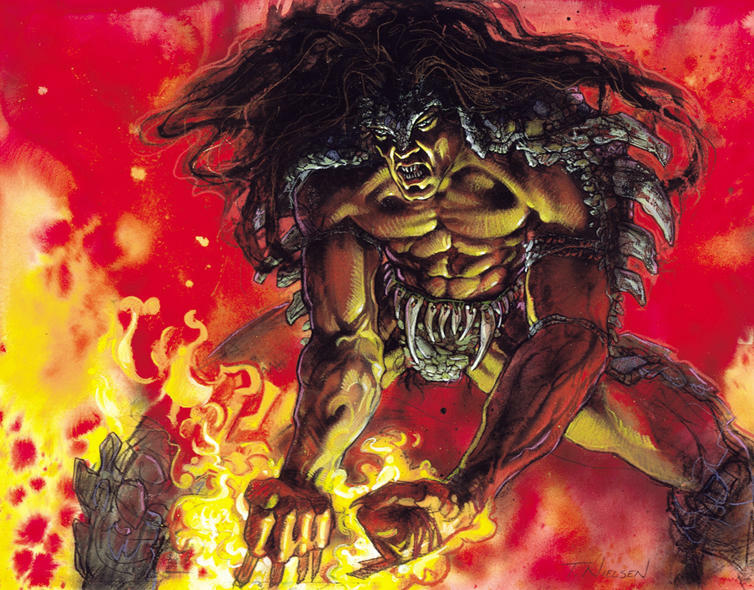 The creators of the collectible card game Magic: The Gathering faced such a bubble. The cooler they made their cards, the more the resale value increased — and threatened to send Magic cards the way of the Beanie Baby. Today on the show: how the folks who made Magic cards came up with a plan. A plan to once and for all conquer the science of bubbles, and make a collectible toy that could live forever.